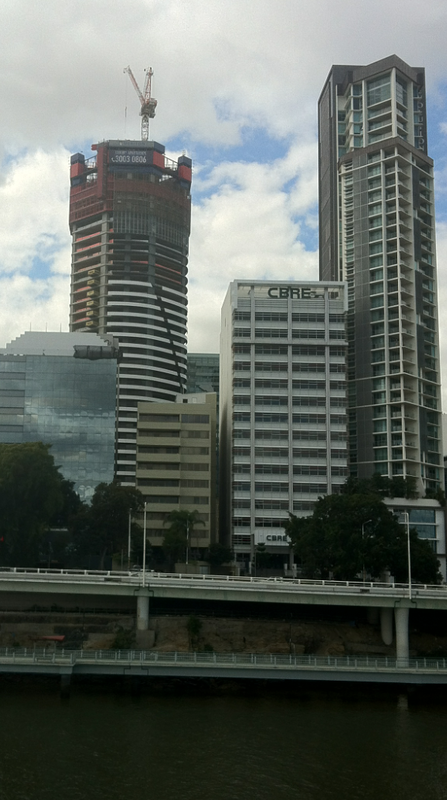 Some recent photos of Meriton's Infinity apartment building in Brisbane, currently under construction. 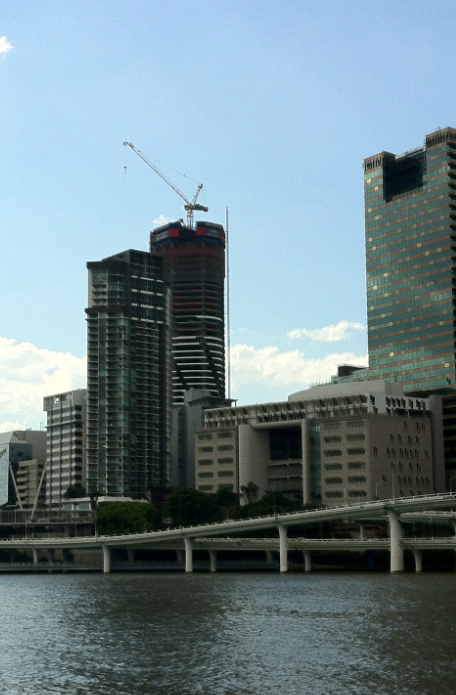 When complete, this will be Brisbane's tallest residential tower, at 81 floors. 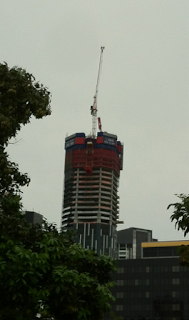 So I guess it is about half way now. Infinity on the left, with Evolution Apartments on the right. This was taken about two weeks ago. Infinity behind Evolution Apartments, with Federal Court building in the foreground. Taken this weekend. 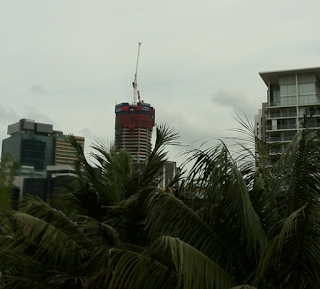 From Roma Street Parklands, with one of the Pradella Parkland apartment buildings on the right.